E Ink announced that its new Advanced Color ePaper(ACeP) E Ink panels has been used by Japan's Toppan Printing and Isetan Mitsukoshi to develop the world’s first color e-paper digital point-of-purchase (POP) sign. Isetan Mitsukoshi says that the new POP signage will be helpful in reducing paper waste from in-store promotions. 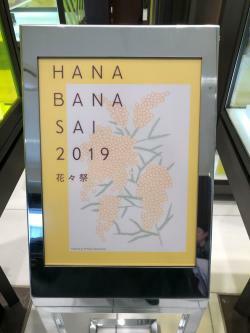 Isetan Mitsukoshi will install a prototype in the Isetan Shinjuku store for their “HANABANASAI” campaign that launched a few day ago. Ford launched a City Of Tomorrow challenge in Miami-Date County, Florida - with a goal to improve mobility in the city. One of the two winners was Soofa - with its solar-powered benches and information display signs. Sofa was awarded with $50,000 and will deploy its signs in up to three neighborhoods in the county. Soofa uses 32" E Ink displays (and a system developed by Visionect) to show bus and train arrival times, alternative modes of transportation available and also local events and activities. Papercast and Trapeze announced a new partnership under which Trapeze will integrate Papercast' paper display technology into their Operations Control System. Trapeze dispatchers will be able to use both Trapeze displays and Papercast e-paper displays utilizing their existing Trapeze platform. The aim of the partnership is to enable public transport operators to embrace the benefits of e-paper display technology with a seamless, cost-effective and fully integrated solution. 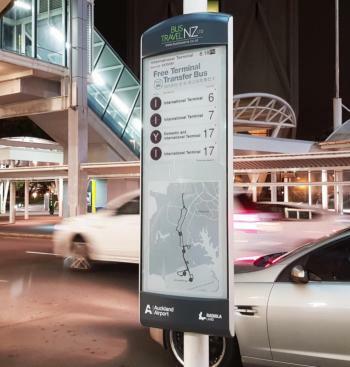 Papercast uses E Ink displays coupled with solar panels to enable sustainable mobility systems. The West Bengal State Government Housing & Infrastructure Development Corporation (HIDCO), in an effort to gain a IGBC Platinum status for the Newtown municipality is adopting several new environmentally friendly initiatives. One of these is the usage of E Ink signage in bus stops. 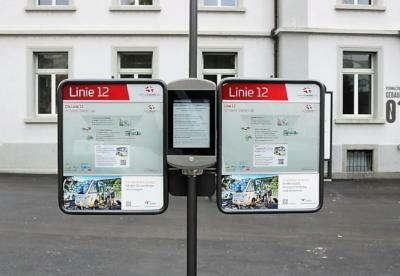 In the pilot project, an E Ink display was installed in the city's Eco Park Gate 2 bus stand. 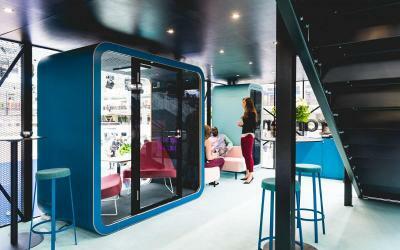 Visionect has joined forces with Framery to bring Joan, the E Ink meeting room and office spaces digital display solution, to Framery's soundproof private spaces. The Joan devices help Framery to provide a more streamlined way of using its private spaces. Framery customers can now customize their new workplace with the Joan digital display as an optional extra. 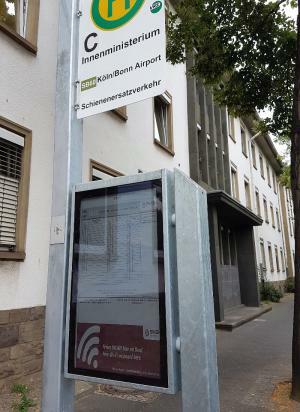 The city of Bonn in Germany is testing out PaperCast's e-paper bus stop displays. The project aims to replace paper timetables with dynamic digital displays that show live bus arrivals for customers at the bus stop. 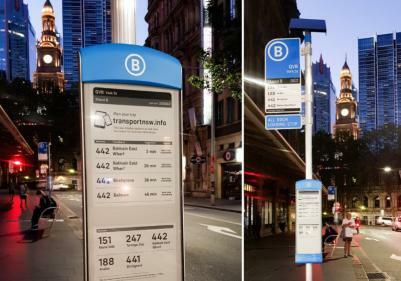 Visionect announced a new project in Sydney, to install digital bus stops around the Town Hall, designed and developed Mercury Innovation in collaboration with Visionect. The digital stops provide real-time bus arrivals, as well as capacity information, service notifications and any other relevant commuter information right at the stop. 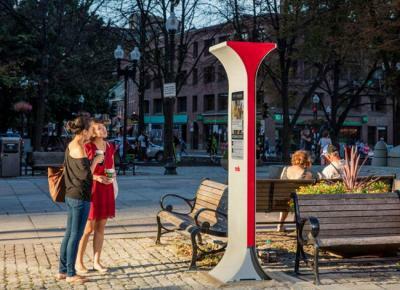 The new bus stops displays are based on E Ink panels and are powered by solar power. This is Visionect and Mercury's second project, following the 2016 installation of solar powered e-paper traffic signs in Sydney. 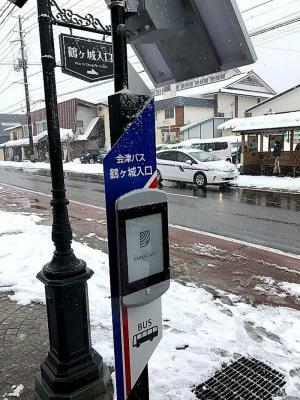 Japan's Aizuwakamatsu city is launching a new pilot smart bus stop display project, developed by Papercast in collaboration with E Ink holdings. The project is administered by Aizu Riding Car Development, a consortium that aims to improve service convenience and reduce ongoing costs by digitally connecting bus stops. The E Ink displays will show real-time passenger information, and these displays will be wireless and solar-powered.